A combination of post-Christmas holiday blues, lack of vitamin D from wintery, miserable days and a general slump in New Year energy, despite one's best intentions, can leave the most upbeat person a little on the low side. However after talking to a few friends, I was surprised by just how many of them had booked a little break in the UK to chase away the January blues. With this in mind, I thought my partner and I could do with cheering up, so I organised a short break away in one of my favourite UK cities. 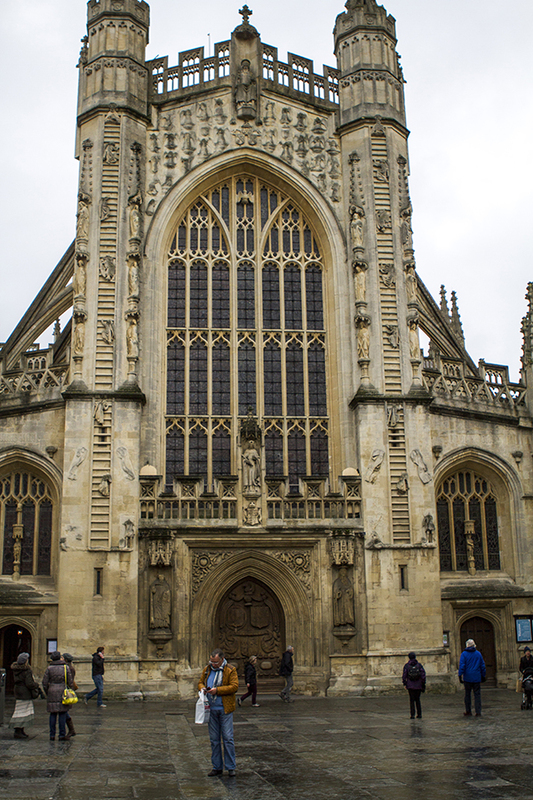 Just a few hour's drive from our house on the North Kent Coast and we were in the UNESCO city of Bath; a city famous for mineral-rich spring water spas, stunning Georgian architecture and Jane Austen. 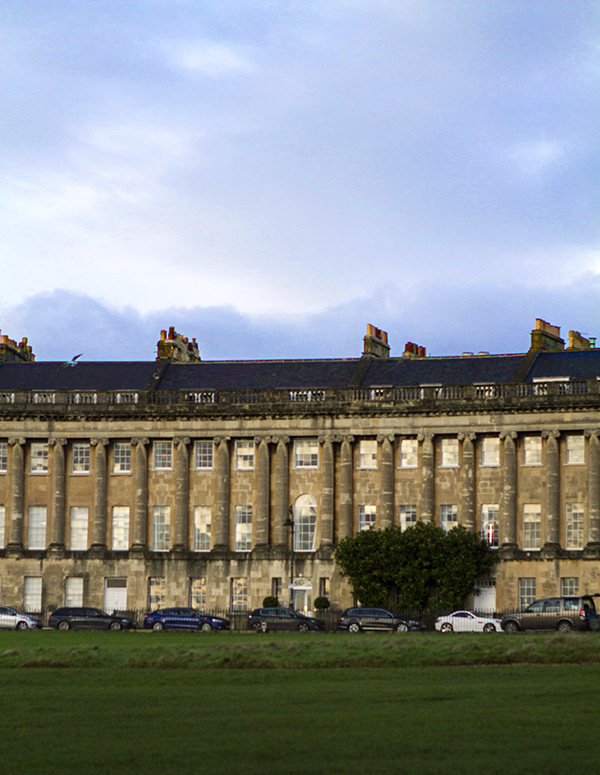 We checked into The Royal Crescent Hotel & Spa. 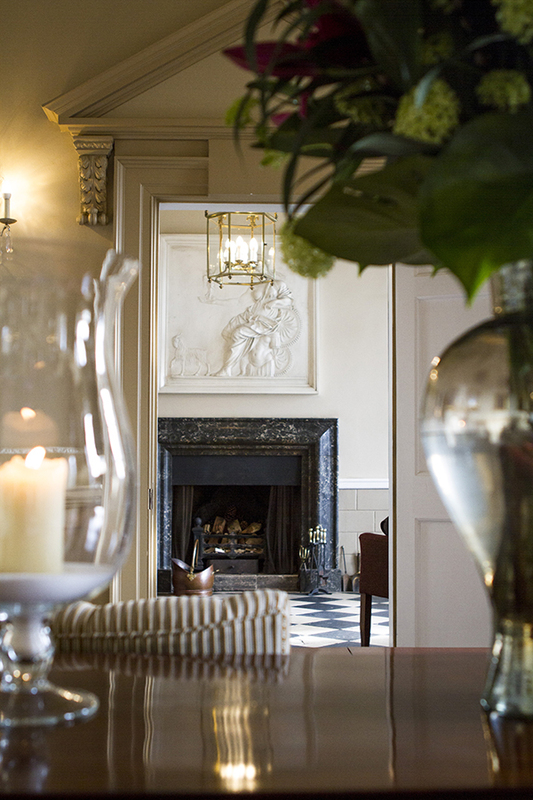 Nestled in between 18th century privately owned Grade 1 listed Georgian townhouses, is the hotel. The Crescent, built by John Wood the Younger some 230 years ago, was designed to bring a more picturesque scene to the town, reminiscent of those popping up in Europe in the 19th Century. The Crescent still stands as one of the best examples of Georgian architecture in the UK, so the hotel couldn’t be in a better location. The Crescent can fit only a few cars (as they were not around two centuries ago! ), so my first thought upon pulling up at the entrance was "Where on earth are we going to park?!" But it wasn't an issue at all; we drove up to the entrance and before we could turn off the engine, a concierge opened the car door, took our key, unloaded the car and whisked it away for safe keeping, all standard service and at no extra cost. Stepping into the hotel is a bit like entering someone's home. 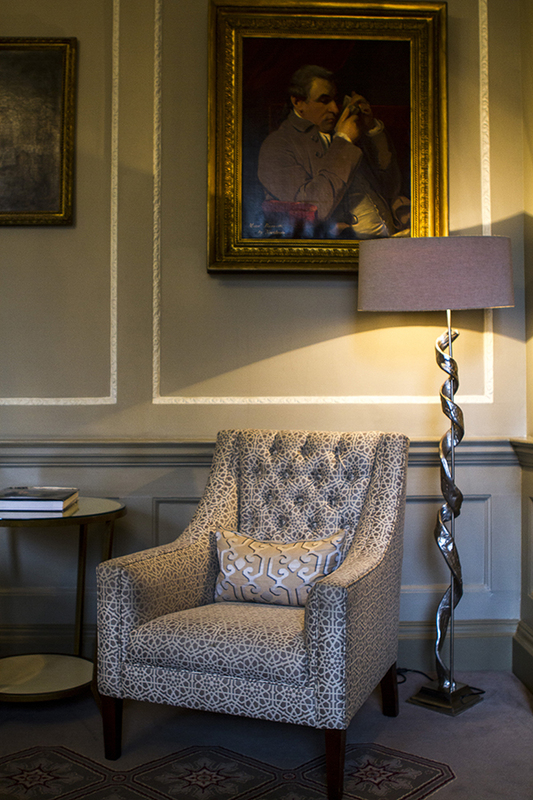 The lure of the cosy drawing room and library awaits, with roaring open fires; the perfect space to take afternoon tea, or something stronger if you need it. The ambience is quiet and cosy with a secret-escape feel and staff who treat you like old friends. After a refurbishment lasting around 2 years, the hotel now houses 45 rooms, all personalised with your name on the door, each room furnished and finished differently, yet in keeping with the Georgian feel. No two rooms are the same. We loved our John Wood suite with a sweeping view out to the Crescent grounds and beyond, where we could lie on our four poster bed and watch people walk their dogs in the Royal Victoria Park opposite. There are 18 master suites in total, all with great views and a meticulous attention to detail. As you come out on to the landing in the main part of the hotel, there’s a beautiful courtyard area visible through the massive window, the setting for old outhouses, now converted into the spa, gym, restaurant, bar and event room. Yes, you do have to nip outside momentarily to use the amenities and in the winter, and this could be seen as a little bit of an annoyance, but it's like discovering Narnia; the exterior is beautiful, but only revealing what lies beyond once you step into it. I can imagine the gardens in full bloom in Spring and Summer. This is a fantastic area to relax in... an oasis in the city. 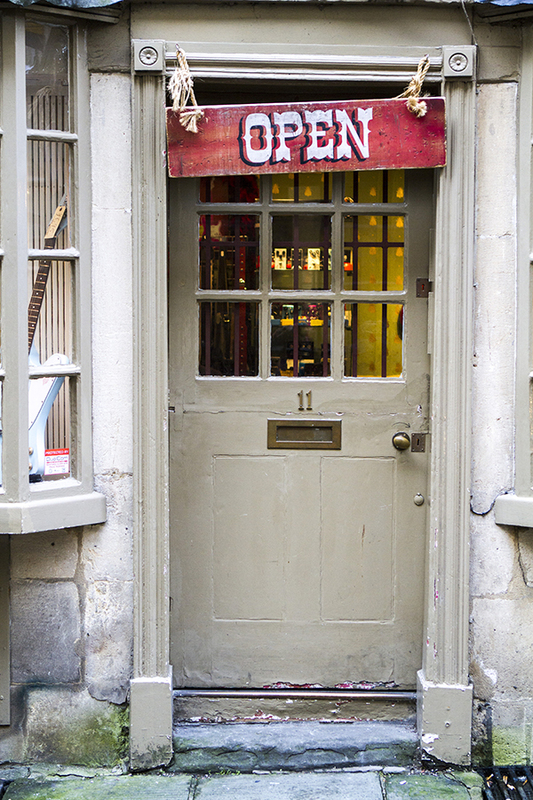 The Crescent is very close to the town centre, so taking a wander into Bath is easy and the city has a really good high street, with plenty of cafés, restaurants and lovely little artisan shops. We arrived on a Sunday, (a day when many places are closed) and were happy to mooch about, but finding a place to eat that isn't a chain might be tricky, especially if you've not made a reservation. I had my heart set on having lunch at the Richard Bertinet café, but it was closed, so I was thrilled to eventually stumble across The Green Bird Café. It's just a stone's throw from the hotel, along Margaret's Buildings, just off Brock Street. On the menu: warm toasted sandwiches with Bertinet sourdough and delicious fillings. Result! There's also a very popular pub around the corner from the hotel: The Marlborough Tavern, off Western Road. It's a popular spot and was in full swing on this Sunday lunchtime, with a wait of two hours even when we arrived after 2pm, so booking is advisable. We went back to the Richard Bertinet café the following day, and bought a huge sourdough loaf to take home. If you’re wondering who the heck this Bertinet character is, then you just need to know he’s one of the UK’s best bakers who also happens to have a cookery school in the heart of the city. His courses are second to none and it helps that the Frenchman is a lovely guy who is passionate about his craft. I left my partner in town as I had a treatment booked in the hotel's spa. The hotel concierges are a fantastic source of local information and advised him to check out a bar called The Stable, which he didn’t stop raving about when he got back. Whilst he was getting acquainted with the local ales and ciders, I was delighted to see the pool was empty and I had it all to myself. 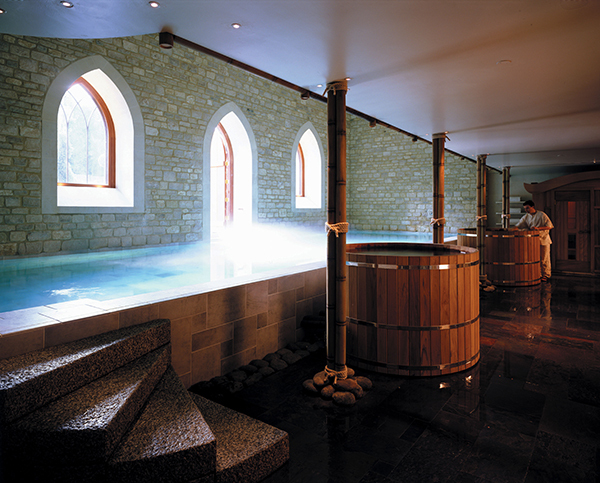 The General Manager, Jonathan Stapleton, told me there are only 130 spa members and the pool area very rarely has more than 6 people visiting at any one time, so more often then not, you could claim the space as your own. As a lover of baths, I was pleased to find out the pool is kept at 33 degrees centigrade, so swimming was warm as well as peaceful. As the sun was starting to set outside, the atmosphere in this limestone-bricked room was utterly relaxing; the steam coming from the warm water and also the soft lighting only adding to my chilled-out mood. There are two plunge pools in huge barrels, one hot, one cold. I was advised to try the steam room, cold plunge pool then hot plunge pool for as long as I could keep it up. This would open my pores and boost my circulation. There’s also a sauna for those who prefer a dry heat. In the summer, the Taittinger Spa Garden is open and guests can sunbathe on loungers, surrounded by Italian- inspired planting. Perfect for topping-up a tan, as the garden is a sun-trap and can get quite hot. Swim complete, I was suitably rested and ready for some reflexology. This treatment always seems to be my benchmark of an excellent therapist, as a good reflexology practitioner can be surprisingly hard to come by. Sasha, my wonder-worker for the next hour, asked me a myriad of questions relating to sleep, digestion and general health; I knew this was going to be a serious treatment from the off. Just what I wanted. She had the right amount of talk and silence, whilst she expertly worked on my feet. She caught a few sore points, which caused me to yelp; the adrenal system, the middle part of the right foot was particularly painful. Apparently this kind of reaction is common, as the majority of people have a stressed out system. After the treatment, she presented me with a written card to describe what she had worked on, and some suggestions for relaxation to help calm my hyperactive mind. Why did I love this treatment so much? It was the attention to detail; would I prefer oil or cream on my feet afterwards? Was I OK with her using talc during the massage? That sort of thing. My top tip would be to book this treatment without a second thought (perhaps not for those who don’t like their feet being touched, of course) At £85 for an hour (£75 Monday-Thursday) it’s on the pricier side of a normal reflexology session, but well worth it. The spa can be used if you're not a guest of the hotel. 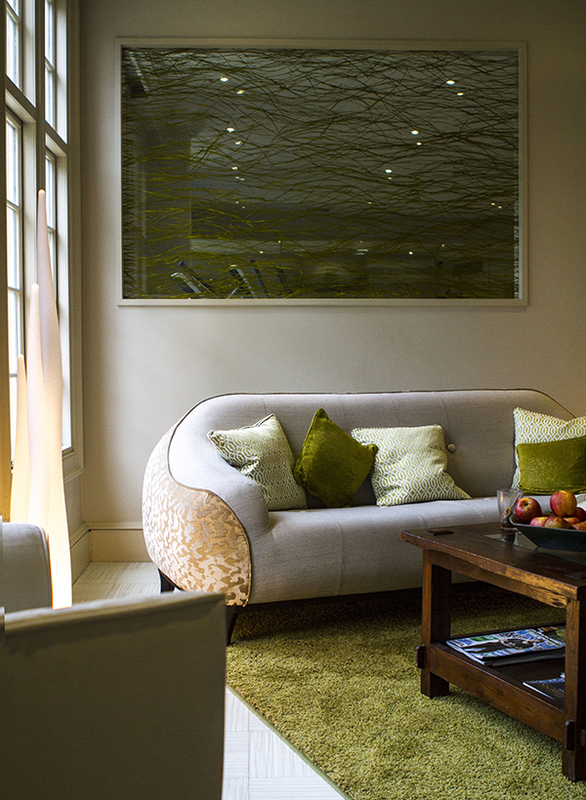 A half-day retreat starts at £130 for 2 hours use of the space, an hour's treatment, and lunch. Feeling surprisingly rejuvenated and not at all tired and sleepy, we headed over to The Montagu Bar for a pre-dinner drink, before dining at the adjoining Dower House Restaurant. The restaurant is open to non-residents too, and in the Summer, the outdoor dining area is in full bloom. It’s an AA 3 Rosette restaurant, where head chef David Campbell creates classic contemporary food, beautifully presented in fine-dining surroundings. There is a 6-course tasting menu for £72 and the a la carte menu is just as good. Particularly noteworthy was the Slow-Cooked Duck Egg. Not my normal go-to starter, but the flavours of chicken and textures of Iberico ham and crispy chicken skin worked really well together. Pudding was my favourite; a milk chocolate mousse bar with marshmallows on the side and a sharp raspberry sorbet, which was surprisingly easy on my lactose intolerant self. The sommelier, Jean-Marc, found us a wine that perfectly complemented our food choices, coming back with a Montepulciano d’Abruzzo from 2013. The wine list is very extensive and beautifully put together, so don’t be afraid to ask him if it’s a bit daunting. If a simple night in your room is more to your taste then there’s a fantastic in-room dining menu as well. After a great night's sleep, we were pleased we opted for breakfast in bed (an attempt to not consume too much at breakfast the next day) a delicious combination of cold deli meats, croissants, a fabulous fruit salad, tea, toast and yoghurt. After another dip in that warming pool and a quick stint in the gym (there’s a power plate... yay! Workout done in half the time!) it was time to leave. 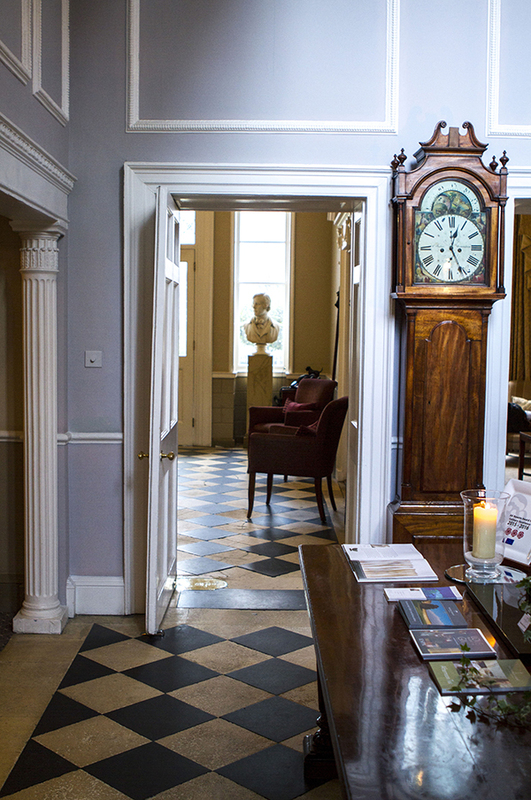 For a quiet haven in a city as beautiful as Bath, this hotel is a must. Relaxing, charming and peaceful are the words that spring to mind. Relax at The Royal Crescent Hotel & Spa with a 2 night winter warmer break and enjoy a complimentary glass of Champagne with your Afternoon Tea on one afternoon of your stay. Prices start from £500 for the two nights on the Classic Double Rooms. This offer is available Sunday to Thursdays, for a minimum of two nights stay, from 7th February to 17th March 2016, Based on double occupancy.